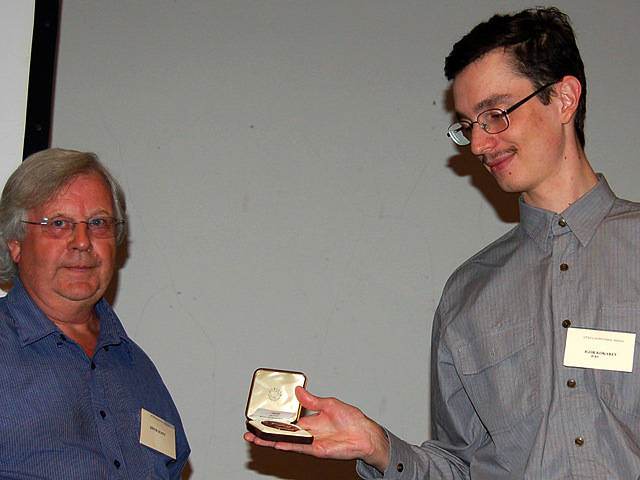 The RPS AV Group awarded two Dobson Henry Medals at the RPS International Festival in Cirencester. 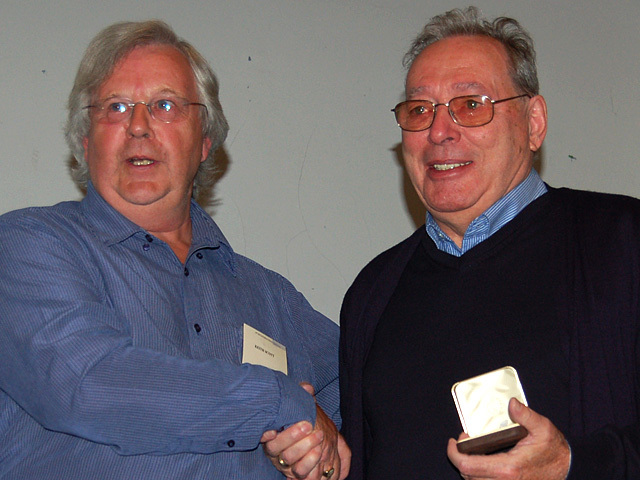 These medals are given for services to AV and were presented by Keith Scott AV Group Chairman. WnSoft has announced the release of PicturesToExe Deluxe 6.5 The new version adds more extensive audio editing and manipulation support, animated GIFs, interface improvements and video output options (1080p uploads to YouTube, as well as iPad and iPhone 4 support). No-hassle audio editing + sharing on HD and mobile devices. multi-tracks, lossless fade and timing tools and more for audio perfectionists. Time offsets, start times and simultaneous playback allow planning soundtracks down to the second without losing quality due to processing. PicturesToExe Deluxe does not lose any visual quality either, even at such high resolutions as 1920x1080, and the new version makes it easy to share this high quality with others. H.264 video uploaded to YouTube is now in 1080p format (increased from 780p), offering even more detail. Another highly requested feature was output for display on the latest iPad and iPhone 4 from Apple - and the developers delivered HD quality for these users as well. Users without HD devices can still take advantage of other new features, such as the new version's support for animated GIFs (and even PNGs and JPEGs). The RPS AV Group committee would like to draw up a list of specialist AV Lecturers and Judges, for publication on the RPS web pages and also in the AV News Magazine, for the benefit of AV Groups, Camera Clubs and Photographic Society Syllabus Secretaries. Competition Results from 2010. Results are listed below. We would like to publish the AV FIAP 2010 yearbook for the beginning of 2010. Indeed last AV FIAP yearbook is already 4 years old (2006) As the number of AV FIAP festivals decreases, it is not necessary to publish the yearbook every two years. AV FIAP yearbook includes all authors of the world and all their rewarded works during FIAP sponsored festivals from 1961 to 2010. Analogical and numerical works are recorded separately, but the statistics include both types of projection. As the information recorded over the past 4 years are material and interesting, we plan to publish the yearbook providing 60 people at least are interested. The cost is 8 €uros + 2 €uros (minimum) for mailing cost. If we can collect a minimum of 60 requests, the yearbook will be published. According to the answers provided, we will inform you of the publication.